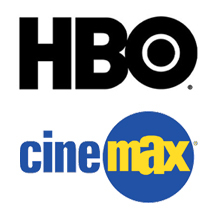 Pay-for-view cable channels HBO and Cinemax offer their biannual rundown of their current and future programming. TV shows include Banshee, Eastbound & Down, Game of Thrones, True Blood, The Newsroom, Boardwalk Empire, Girls, Enlightened, Veep, Family Tree, Hello Ladies, Real Time with Bill Maher, Vice, Real Sports with Bryant Gumbel, The Fight Game with Jim Lampley, and Strike Back. GAME OF THRONES: Based on the popular book series “A Song of Ice and Fire,” by George R.R. Martin, this hit Emmy(R)-winning fantasy series chronicles an epic struggle for power in a vast and violent kingdom. Members of the ensemble cast for the second season included Emmy(R) and Golden Globe winner Peter Dinklage, Michelle Fairley, Lena Headey, Emilia Clarke, Nikolaj Coster-Waldau, Kit Harington and Richard Madden. Executive produced and created by David Benioff and D.B. Weiss, the ten-episode third season begins March 31. TRUE BLOOD: Based on the popular Sookie Stackhouse books by Charlaine Harris, this Emmy(R)-nominated hit series was created by Alan Ball. The show follows waitress and part-faerie Sookie Stackhouse (Anna Paquin), who can hear people’s thoughts and vampires Bill Compton (Stephen Moyer) and Eric Northman (Alexander Skarsgård). The sixth season begins later this year. THE NEWSROOM: This series centers on a cable news anchor (Jeff Daniels), his new executive producer (Emily Mortimer), his newsroom staff (John Gallagher, Jr., Alison Pill, Thomas Sadoski, Dev Patel, Olivia Munn) and their boss (Sam Waterston). Together they set out on a patriotic and quixotic mission to do the news well in the face of corporate and commercial obstacles and their own personal relationships. Aaron Sorkin created the series and executive produces along with Scott Rudin and Alan Poul. The second season begins later this year. BOARDWALK EMPIRE: Set in the 1920s during Prohibition, this Emmy(R)- and Golden Globe-winning series chronicles the life and times of “Nucky” Thompson, the undisputed leader of Atlantic City. Steve Buscemi stars as Thompson; other cast regulars for the third season included Kelly Macdonald, Michael Shannon, Shea Whigham, Jack Huston, Stephen Graham, Michael Stuhlbarg, Vincent Piazza, Paul Sparks, Michael Kenneth Williams, Gretchen Mol, Bobby Cannavale, Charlie Cox and Anthony Laciura. The series was created by Terence Winter, who also serves as executive producer with Martin Scorsese, Stephen Levinson, Mark Wahlberg and Tim Van Patten. The fourth season begins later this year. GIRLS: Created by and starring Lena Dunham, this Emmy(R)-winning series is a comic look at the assorted humiliations and rare triumphs of a group of girls in their early 20s. Dunham executive produces along with Judd Apatow, Jenni Konner, Ilene S. Landress and Bruce Eric Kaplan. The cast also includes Jemima Kirke, Allison Williams, Zosia Mamet, Adam Driver and Alex Karpovsky. The ten-episode second season begins Jan. 13. ENLIGHTENED: This Golden Globe-winning show focuses on a self-destructive woman (Laura Dern) who has a spiritual awakening after a meltdown. Determined to live a more enlightened existence, the former executive’s new lifestyle wreaks havoc both at home and at work. Luke Wilson and Diane Ladd also star; the cast also includes series writer-director Mike White. White and Dern are executive producers. The eight-episode second season begins Jan. 13. VEEP: Created by Armando Iannucci (Oscar(R) nominee for co-writing “In the Loop”), this Emmy(R)-winning series stars Emmy(R) winner Julia Louis-Dreyfus as former Senator Selina Meyer, who becomes vice president, only to discover the job is nothing like she expected, but everything she was warned about. The show also stars Tony Hale, Anna Chlumsky, Matt Walsh, Reid Scott, Timothy C. Simons, Sufe Bradshaw and Kevin Dunn. Iannucci executive produces along with Frank Rich and Christopher Godsick. The ten-episode second season begins later this year. FAMILY TREE: A single-camera, documentary-style show in the manner of the acclaimed feature films of Christopher Guest, this new series stars Chris O’Dowd as 30-year-old Tom Chadwick, who recently lost his job and girlfriend, and has an unsure sense of his own identity. When he inherits a mysterious box of belongings from a great aunt he never met, Tom starts investigating his family lineage and uncovers a whole world of unusual stories and characters, acquiring a growing sense of who he and his real family are. Tom Bennett and Nina Conti also star. The series also features appearances by Carrie Aizley, Bob Balaban, Ed Begley, Jr., Maria Blasucci, Matt Griesser, Christopher Guest, Don Lake, Michael McKean, Lisa Palfrey, Jim Piddock, Kevin Pollak, Amy Seimetz, Meera Syal, Ashley Walters and Fred Willard. A Lucky Giant/HBO co-production in association with NBCUniversal and the BBC; written and created by Christopher Guest & Jim Piddock; executive produced by Christopher Guest, Jim Piddock and Karen Murphy; directed by Christopher Guest. The series debuts this spring. HELLO LADIES: Stephen Merchant stars as a gawky, 6′ 7″ Englishman searching for the woman of his dreams in Los Angeles. Half as charming – and twice as desperate – as he thinks he is, he’s obsessed with infiltrating the glamorous world of beautiful people, who won’t let him in. Produced in association with ABC Studios. Stephen Merchant, Lee Eisenberg and Gene Stupnitsky executive produce the series and co-wrote the pilot; Merchant directed the pilot. The series debuts later this year. EASTBOUND & DOWN: Starring Danny McBride and executive produced by Will Ferrell, Adam McKay, Chris Henchy, Jody Hill and Danny McBride, this comedy series tells the story of a star pitcher whose self-destructive behavior knocks him out of major league baseball, leaving him broke, delusional and desperate to regain his former glory. Production on the fourth season begins later this year. REAL TIME WITH BILL MAHER: This live weekly show is devoted to news and comedy, allowing Maher to offer his unique perspective on contemporary issues. Debuting new editions Fridays at 10:00 p.m. (ET/PT), the Emmy(R)-nominated show returns for its 11th season Jan. 18. VICE: HBO partners with VICE, a premier new media company, on this innovative news magazine show to be hosted by VICE founder Shane Smith, showcasing a mix of stories from around the globe. The weekly series will be executive produced by Bill Maher, Shane Smith and Eddy Moretti, VICE’s chief creative officer, with CNN’s Fareed Zakaria serving as consultant. The series debuts this spring. MARY AND MARTHA: Hilary Swank and Brenda Blethyn star in this HBO Films drama, which follows the epic journey of two mothers who bond over the mutual loss of their sons to malaria. James Woods and Frank Grillo also star. Directed by Phillip Noyce from a screenplay written by Richard Curtis. Debuts in April. PHIL SPECTOR: Written and directed by David Mamet, the film is his exploration of the client-attorney relationship between legendary music producer Phil Spector (Al Pacino) and defense attorney Linda Kenney Baden (Helen Mirren), who represented Spector during his first trial for murder. Mamet also serves as executive producer with Barry Levinson. The cast also includes Jeffrey Tambor and Chiwetel Ejiofor. Debuts this spring. BEHIND THE CANDELABRA: Starring Academy Award(R) winners Michael Douglas and Matt Damon, this drama takes a behind-the-scenes look at the tempestuous relationship between legendary entertainer Liberace and Scott Thorson, his younger live-in lover. Directed by Academy Award(R) winner Steven Soderbergh from a script by Oscar(R) nominee Richard LaGravenese, the film is executive produced by Emmy(R) winner Jerry Weintraub and produced by Gregory Jacobs, Susan Ekins and Michael Polaire. Debuts this spring. PARADE’S END: Benedict Cumberbatch, Rebecca Hall and Adelaide Clemens star in this epic story of love and betrayal, set during a formative period in British history, from the twilight years of the Edwardian era to the end of World War I. Based on the quartet of novels by Ford Madox Ford, the five-part mini-series was adapted for the screen by Tom Stoppard and directed by Susanna White. Roger Allam, Anne-Marie Duff, Rupert Everett, Stephen Graham, Clare Higgins, Janet McTeer and Miranda Richardson co-star. David Parfitt and Selwyn Roberts produce; Michele Buck, Ben Donald, Tom Stoppard, Damien Timmer and Simon Vaughan executive produce. Debuts Feb. 26, 27 and 28. LOUIS CK: Red-hot comedy star Louis CK returns to HBO in an all-new stand-up comedy special, to be taped at one of the stops on his current sold-out 16-city tour, which wraps in February. The exclusive presentation will be his second hour-long special on the network and will be directed by Louis CK. Louis CK, Dave Becky and Blair Breard executive produce. Debuts in 2013. BEYONCÉ: The multiple Grammy winner, entrepreneur and actress is the focus of this intimate feature-length documentary. Directed by the superstar, the film is a fusion of video that provides raw, unprecedented access to the private entertainment icon and high-voltage performances. Debuts Feb. 16. THE ROCK AND ROLL HALL OF FAME 2013 INDUCTION CEREMONY: This exclusive special will feature highlights from the 28th Annual Rock and Roll Hall of Fame Induction Ceremony, to be held in Los Angeles at the Nokia Theatre L.A. Live April 18, and presented on the network May 18. MEA MAXIMA CULPA: SILENCE IN THE HOUSE OF GOD: Directed by Alex Gibney, this film examines the abuse of power in the Catholic Church through the story of four courageous Deaf men who set out to expose the priest who sexually abused them, following a cover-up that stretches all the way to the highest office of the Vatican. Debuts Feb. 4. KINGS POINT: This bittersweet study tells stories of five seniors in an American retirement resort who struggle with love, loss and the changing nature of relationships after losing their spouses, underscoring America’s ambivalence about growing old. Directed by Sari Gilman. Debuts in March. AMERICAN WINTER: This timely documentary shines a light on people struggling through the country’s worst economic crisis since the Great Depression, spotlighting families in Portland, Ore., as well as the 211 call centers that offer social service assistance. Produced and directed by Joe and Harry Gantz. Debuts in March. 50 CHILDREN: THE RESCUE MISSION OF MR. AND MRS. KRAUS: This moving film tells the dramatic, previously untold story of Gilbert and Eleanor Kraus, who traveled to Nazi Germany in spring 1939 to save 50 Jewish children. Amid the impending horrors of the Holocaust, they brought what was to date the largest known group of children to the United States, despite the country’s rigid immigration laws. Directed by Steven Pressman and narrated by Alan Alda and Mamie Gummer. Debuts in April. WHICH WAY IS THE FRONTLINE FROM HERE? : THE LIFE AND TIMES OF TIM HETHERINGTON: Through interviews with family and friends, this film paints an in-depth portrait of the famed war photographer and filmmaker, who was killed by mortar shells in Libya on April 20, 2011 while covering the Libyan civil war. Directed by Sebastian Junger, who co-directed the Oscar(R)-nominated “Restrepo” with Hetherington. Debuts in April. MANHUNT: THE SEARCH FOR BIN LADEN: Through exclusive footage and dramatic first-person interviews with key figures in Washington, Pakistan, Saudi Arabia and elsewhere in the Middle East, director Greg Barker reveals previously hidden truths about one of the most-examined stories of modern times, recounting the tumultuous decade-long hunt for Osama bin Laden that culminated in the dramatic raid and assassination in April 2011. Debuts in May. TALES FROM THE ORGAN TRADE: This documentary investigates international organ trafficking and the role the internet plays in the black market exchange. The film explores life-and-death issues surrounding the high demand for organs through candid interviews with people seeking an organ on the black or “grey” market, the traffickers who buy and sell organs to them, and the individuals selling their organs. Produced by Roc Bienstock, Simcha Jacabovici, Bill Cobbin and Brian Edwards. Debuts in May. REAL SPORTS WITH BRYANT GUMBEL: Winner of 23 Sports Emmys(R), and the only sports show ever to receive a Columbia University-duPont broadcast journalism award, this magazine program explores issues, controversies and personalities in the sports world with provocative reports in new monthly editions. Host Bryant Gumbel is joined by correspondents Mary Carillo, Frank Deford, Jon Frankel, Bernard Goldberg and Andrea Kremer. THE FIGHT GAME WITH JIM LAMPLEY: Hosted by the four-time Sports Emmy(R) winner, this series is a provocative, engaging and informative program that delves into intriguing storylines, newsmakers and issues that are top-of-mind in boxing. A YOUNGARTS MASTERCLASS: This ongoing series of half-hour documentaries, follows some of the thousands of high-school students who participate in a program to be mentored by America’s greatest artists in an intimate, interactive classroom environment. Among the legends who serve as mentors on the new editions are Bobby McFerrin, John Guare and Patti LuPone. Directed by Kirk Simon and Karen Goodman. Debut in Feb., March and April. BANSHEE: This action series follows an ex-convict and master thief who assumes the identity of the sheriff of Banshee, Pa., where he continues his criminal activities, even as he’s being hunted by the shadowy gangsters he betrayed years earlier. Antony Starr, Ivana Milicevic, Ulrich Thomsen, Frankie Faison, Rus Blackwell, Ryann Shane and Ben Cross star. Alan Ball, Greg Yaitanes, Peter Macdissi, Jonathan Tropper and David Schickler executive produce. The ten-episode season debuts Jan. 11. STRIKE BACK: This Emmy(R)-nominated hit action series follows a stealth counterterrorism unit as it spans the globe to stop potential threats, often behind enemy lines. Philip Winchester, Sullivan Stapleton and Rhona Mitra star. A CINEMAX Presentation in association with British Sky Broadcasting Limited; a Left Bank Pictures Production; executive producers, Andy Harries for Left Bank and Huw Kennair-Jones for Sky; series producer, Michael Casey. The third season begins this summer. THE THREE STOOGES – Sean Hayes, Will Sasso, Chris Diamantopoulos, Jane Lynch, Sofia Vergara, Jennifer Hudson, Craig Bierko and Larry David. (Directed by Peter Farrelly & Bobby Farrelly; written by Mike Cerrone & Bobby Farrelly & Peter Farrelly.) (The Three Stooges cptfc name and characters are trademarks and copyrighted work of C3 Entertainment, Inc.) Debuts Jan. 5. AMERICAN REUNION – Jason Biggs, Alyson Hannigan, Chris Klein, Seann William Scott, Thomas Ian Nicholas, Mena Suvari, Eddie Kaye Thomas, Jennifer Coolidge and Eugene Levy. (Written and directed by Jon Hurwitz & Hayden Schlossberg; based on characters created by Adam Herz.) Debuts Jan. 12. THIS MEANS WAR – Reese Witherspoon, Chris Pine and Tom Hardy. (Directed by McG; screenplay by Timothy Dowling and Simon Kinberg; story by Timothy Dowling and Marcus Gautesen.) Debuts Jan. 19. WRATH OF THE TITANS – Sam Worthington, Rosamund Pike, Bill Nighy, Edgar Ramirez, Toby Kebbell, Danny Huston, with Ralph Fiennes and Liam Neeson. Debuts Jan. 26. THE FIVE-YEAR ENGAGEMENT – Jason Segel, Emily Blunt, Rhys Ifans, Chris Pratt, Alison Brie, David Paymer and Jacki Weaver. (Directed by Nicholas Stoller; written by Jason Segel & Nicholas Stoller.) Debuts Feb. 2. BATTLESHIP – Taylor Kitsch, Alexander Skarsgård, Rihanna, Brooklyn Decker, Tadanobu Asano and Liam Neeson. (Directed by Peter Berg; written by Jon Hoeber & Erich Hoeber; based on Hasbro’s Battleship.) Debuts Feb. 9. THE LUCKY ONE – Zac Efron and Taylor Schilling. Debuts Feb. 16. WANDERLUST – Paul Rudd, Jennifer Aniston, Justin Theroux, Malin Akerman, Kathryn Hahn, Lauren Ambrose and Alan Alda. (Directed by David Wain; written by Ken Marino & David Wain.) Debuts Feb. 23. PROJECT X – Thomas Mann, Oliver Cooper and Jonathan Daniel Brown. Debuts March 2. SHERLOCK HOLMES: A GAME OF SHADOWS – Robert Downey Jr., Jude Law, Rachel McAdams and Mark Strong. Debuts March 9. THE BEST EXOTIC MARIGOLD HOTEL – Judi Dench, Bill Nighy, Dev Patel with Tom Wilkinson and Maggie Smith. (Directed by John Madden; screenplay by Ol Parker.) Debuts March 16. ROCK OF AGES – Julianne Hough, Diego Boneta, Russell Brand, Paul Giamatti, Catherine Zeta-Jones, Malin Akerman and Mary J. Blige with Alec Baldwin and Tom Cruise. Debuts March 23. SNOW WHITE AND THE HUNTSMAN – Kristen Stewart, Charlize Theron, Chris Hemsworth, Sam Claflin, Ian McShane, Bob Hoskins, Ray Winstone, Nick Frost and Toby Jones. (Directed by Rupert Sanders; screenplay by Evan Daugherty and John Lee Hancock and Hossein Amini; story by Evan Daugherty.) Debuts March 30. HORRIBLE BOSSES – Jason Bateman, Charlie Day, Jason Sudeikis, Jennifer Aniston, Colin Farrell, Kevin Spacey and Jamie Foxx. Debuts Jan. 5. SHERLOCK HOLMES: A GAME OF SHADOWS – Robert Downey Jr., Jude Law, Rachel McAdams and Mark Strong. Debuts Jan. 11. DRAGON EYES – Cung Le, Crystal Mantecon, Peter Weller and Jean Claude Van Damme. (Directed by John Hyams; written by Tim Tori.) Debuts Feb. 9. SAFE HOUSE – Denzel Washington, Ryan Reynolds, Vera Farmiga, Brendan Gleeson, Sam Shepard, Ruben Blades, Nora Arnezeder and Robert Patrick. (Directed by Daniel Espinosa; written by David Guggenheim.) Debuts Feb. 15. EL GRINGO – Scott Adkins and Christian Slater. Debuts March 9. CLEANSKIN – Sean Bean. Debuts March 16. CHERNOBYL DIARIES – Jesse McCartney, Jonathan Sadowski and Olivia Dudley. Debuts March 23. WRATH OF THE TITANS – Sam Worthington, Rosamund Pike, Bill Nighy, Edgar Ramirez, Toby Kebbell, Danny Huston, with Ralph Fiennes and Liam Neeson. Debuts March 30. What do you think? Do you watch any of these shows? If so, which ones? More about: Banshee, Banshee: canceled or renewed?, Boardwalk Empire, Boardwalk Empire: canceled or renewed?, Eastbound & Down, Eastbound & Down: canceled or renewed?, Enlightened, Enlightened: canceled or renewed?, Family Tree, Family Tree: canceled or renewed?, Game of Thrones, Game of Thrones: canceled or renewed?, Girls, Girls: canceled or renewed?, Hello Ladies, Hello Ladies: canceled or renewed?, Real Sports with Bryant Gumbel, Real Sports with Bryant Gumbel: canceled or renewed?, Real Time with Bill Maher, Real Time with Bill Maher: canceled or renewed?, Strike Back, Strike Back: canceled or renewed?, The Fight Game with Jim Lampley, The Fight Game with Jim Lampley: canceled or renewed?, The Newsroom, The Newsroom: canceled or renewed?, True Blood, True Blood: canceled or renewed?, Veep, Veep: canceled or renewed?, Vice, Vice: canceled or renewed? waiting and waiting for strike back. what is the hold up? we like it and make suer we are available for every show.